Why is Having a Cabin Air Filter More Important Than Ever? With fires burning seemingly more accidents now more than ever, security isn’t a guarantee if you own a car and stuck near a wildfire. Organizations throughout the area recommend drivers check their car for ash or other fire-produced debris regularly. A particular emphasis has been put on having a cabin air filter. But why are cabin air filters so important? How big of a difference do they make when faced with a nearby forest fire? In the following sections, we will explore precisely that. Forest fires have grown in numbers and strength ever since global warming started taking place. Car owners in California should take notice. It’s not enough to escape the immediate effects of scorching flames. Instead, the real danger comes from the influence of forest fires on air. Lots of debris and harmful smoke could enter your car if it weren’t for the cabin air filter. With its special contamination-prevention mechanisms, a cabin air filter prevents all the dangerous substances from entering your car. If exposed to them for a long time, your lungs could suffer serious damage and develop respiratory problems as a result. Cabin air filters are important protectors of our health, especially in California. What else can I do prevent my car from being damaged by a forest fire? In the state of California, forest fires have devastating effects on countless acres of land. Cars are especially vulnerable, as many drivers aren’t aware of the things they need to do to protect their car. If you’re opting to leave your car in one place, it should be a garage. Remember, ash and other debris can pass through even the smallest holes in a garage. To prevent anything from entering your car, cover the vehicle with thick sheets of nylon, with at least three layers. If you’re driving during the forest fire or the aftermath, make sure you don’t leave your windows open. Good advice is to keep spare cabin air filters in your glove compartment. With the excessive amounts of ash in the atmosphere, the filter may not last very long. Be prepared to ensure the safety of you and your family at all times. Also, don’t open the windows unless completely necessary. Invisible debris might cause particular problems to people with asthma or those who have a cold. How often should I change my cabin air filter? 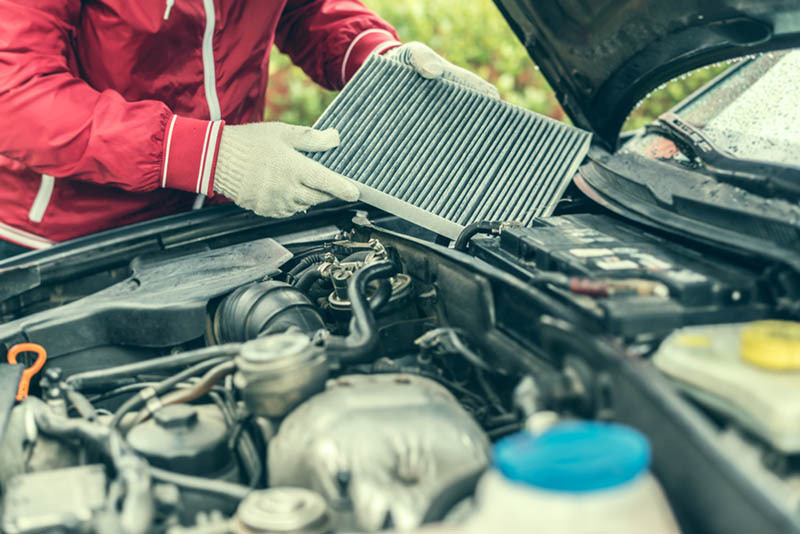 For California residents, changing the cabin air filter is more important. 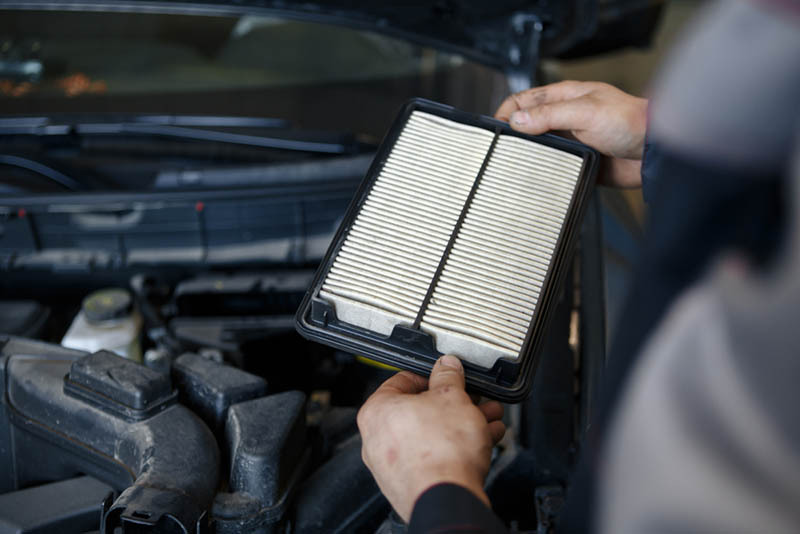 In every major town, the services of a licensed, specialized mechanic or technician can change your cabin air filter. The recommended frequency of change by the experts is around 12.000-15.000 miles. However, for those of you who live in areas with frequent forest fires, it’s important to do it even more often. To be safe, follow the news and change your cabin air filter if a fire is within a 100-mile radius of you. Being informed about the conditions is the best thing you can do to ensure safety. Even if you don’t live near a fire, winds can carry the dangerous debris and carcinogenic compounds for hundreds of miles. The cabin air filter is your first line of defense against polluted air from forest fires. Stay safe and be responsible. Why are forest fires so dangerous? Handling forest fires is always a tricky endeavor. This is for many reasons. The first is related to the unpredictable nature of fire. As it grows stronger, it can spread in just about any direction without any indication. Another factor is wind. The direction of the wind can change in a matter of milliseconds and cause the forest fire to spread in an instant. Weather can also be critical, as well. The longer it has been dry, the faster the fire will spread. However, the real danger of forest fires lies in the fact that they can damage your car and health without being seen. Even if you don’t notice the fire itself, debris from trees and anything else can enter your car. These are often some of the most important things to avoid when facing a forest fire. Have masks ready, even multiple pairs in case you have to rescue people during a fire. Have you been in an area where there was a forest fire recently? If so, download our car wash app. 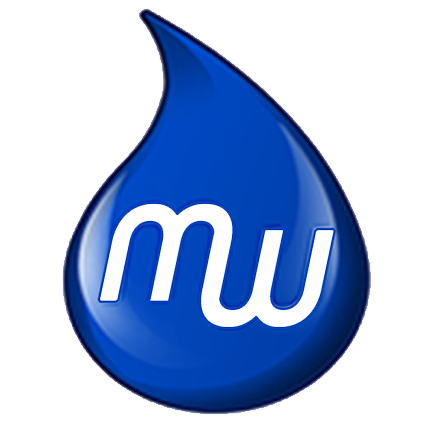 Enter your location, and then you can find the best mobile car wash in Los Angeles. Order our expert team to come to a location of your desire. They will inspect your car thoroughly, then use safe and effective chemicals to eradicate any debris from the forest fire. Car interior cleaning is important, and because of that, we’ve expanded our offer to car wash San Diego services as well. With a good mobile car wash LA or San Diego, you can have your car inspected and cleaned conveniently. Download the app now!